In case you live under a rock, yesterday was Back to the Future day, so there was a lot of flashing back to the 1980s, as well as flashing to the “present” when we are supposed to be wearing much more metal and headgear. Well, today, I’m flashing back to a kinder, gentler, warmer time myself – about 3 months ago. I don’t know why the picture is blurry, but I kinda like blurry pictures of me – imperfections instantly hidden! 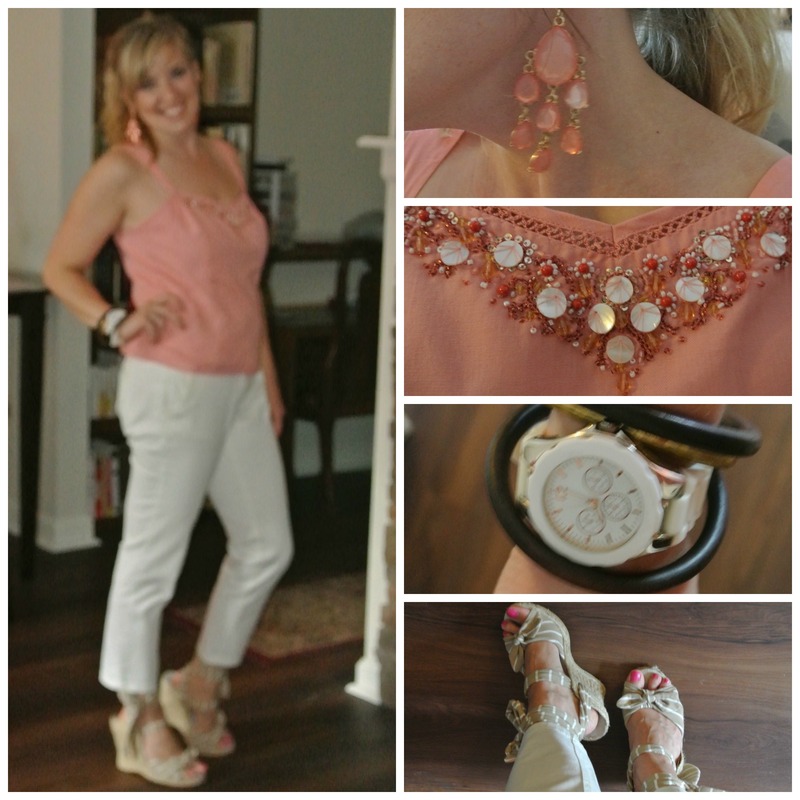 Cropped pants, cropped top, wedges, ponytail…really, this outfit is about as summer-night as it gets. I hardly ever wear these earrings because each one weighs approximately 2.5 pounds, but they were the perfect color, texture, and size to complement my beaded tank, which has way too much going on to allow for a necklace. Did you celebrate Back to the Future day? Are you sad we haven’t yet reached the fashion pinnacles portrayed in the movie’s 2015, or are you comfortable with the current progression of style?